Winter is a great time to sit back and enjoy the emptiness in the garden. Our garden is not quite empty since I left a lot of seed heads intact for the birds and insects. Some brush piles for them to take refuge in from the cold, situate here and there. Still, it’s much emptier than during the growing season. Winter is also a time for planning the next phase of the garden. Plant catalogs start to pack our mailbox. I’ve been mindful of what I select for the garden, one or two new plants a year and they have to be multipurpose. Aside from looking good in the garden, it has to be a food source for birds or insects. Native to northeastern part of the U.S. is a plus. Otherwise it has to grow vertically like all the climbers and ramblers. Those who have limited space like us would understand that last reason for choosing plants that grow upward rather than outward. This is the reason we added clematis to our garden. Clematis can grow on a trellis, mailbox or entwine on shrubs or roses. We have planted five different clematis so far but I would recommend only three of them. ‘Betty Corning‘ produce hundreds of small lavender flowers with a slight scent. The flowers look like small bells swaying in the wind. Bumblebees love them. This clematis seems to bloom forever once it starts to bloom. Ours bloom from late May to September. I cut it down to a foot and a half in late winter and feed it. Throughout the growing season, I keep cutting the spent flowers off so it will continue to produce new flowers. Clematis ‘Ville de Lyon‘ is another clematis with a long blooming time. 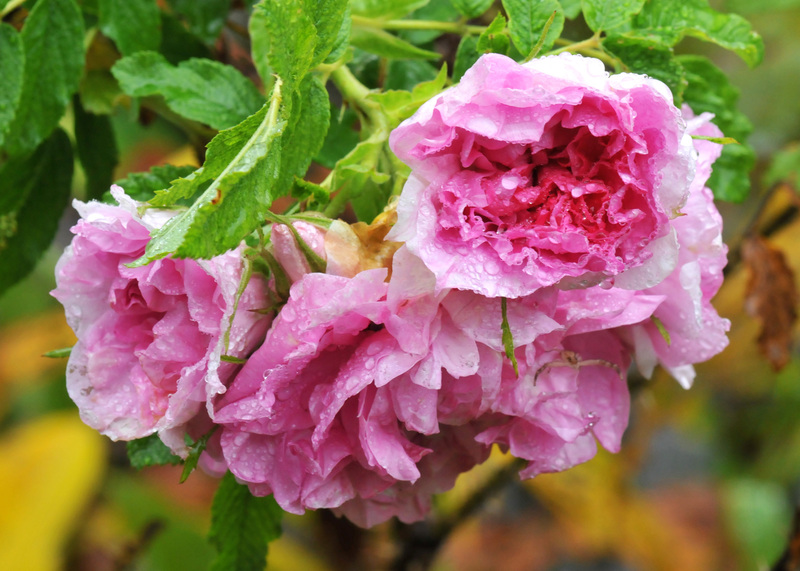 Though it’s less dense than ‘Betty Corning’, it has bigger flowers which can make a trellis disappear underneath. The bright red petals get even redder in the rain. 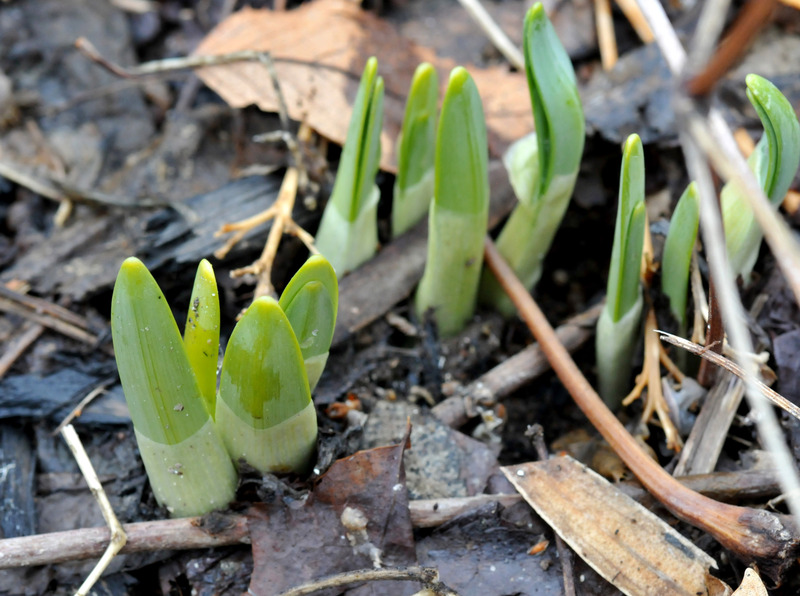 I cut the dead stems off in early spring (when I see no new buds sprouting from that stem). I also cut the unruly, overgrown stems off as well. We have ‘Crystal Fountain‘ clematis growing up a trellis and entwined with ‘Himalayan Musk’ rose. It makes a really good statement with very large flowers, plenty of them. I plan to add one more clematis in the garden this spring, maybe another yellow or white. I want to add more colors to the garden without taking up too much space and clematis seems to be a perfect choice. We have a few days off for Thanksgiving and have spent most of our time grinding up leaves for mulch, fixing the deer fence to make sure there is no breach and planting crocuses and tulips. 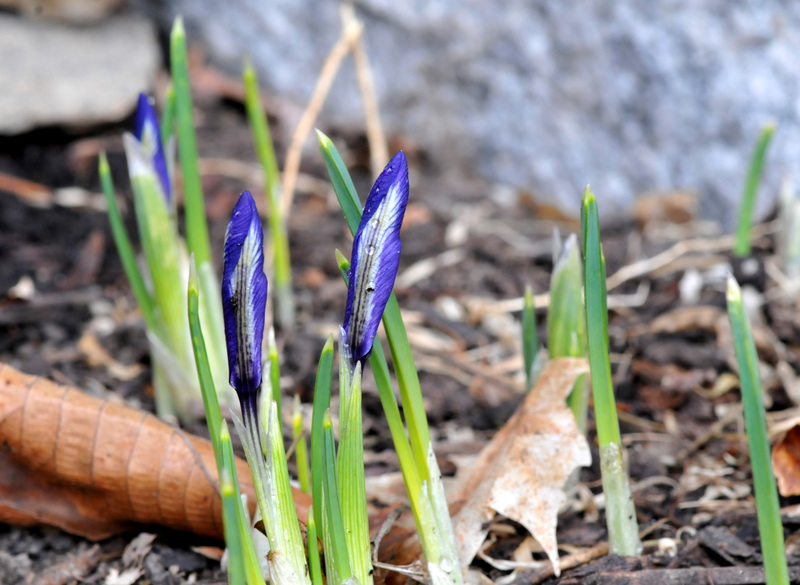 Autumn is the time to put in spring crocus bulbs. We put a couple of hundred bulbs in a year ago and love the way our lawn looks in spring. This autumn we put 400 more bulbs in. I don’t really like growing anything ‘bulb’ because most of the time they become squirrel and chipmunk food. 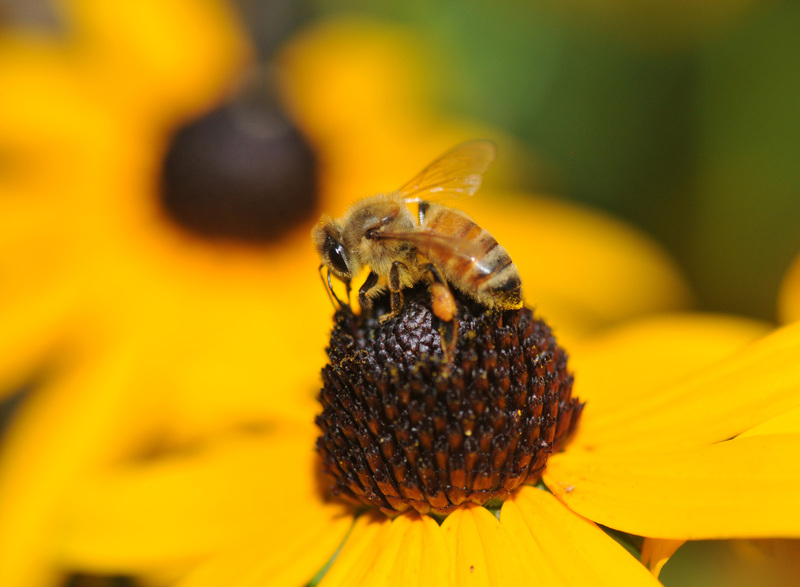 However, taking our honeybees into consideration, I want to provide natural, early spring food for them. Crocus is one of the flowers that bloom very early and have plenty of pollen and nectar. They are also quite pretty and come in variety of colors. They will disappear underground by the time other flowers start to bloom. Crocuses blooming on the lawn in early April. Since we mixed the bulbs, the colors are random. I run out of space to put a lot of bulbs in so our lawn is the only place. In order to make them look natural, I bought mostly mixed color bulbs. I also bought individual colors of the larger variety and mixed them with the smaller ones. Cast them on the lawn then planted them wherever they landed. Last spring they came up before the lawn grew, creating a lovely natural effect. Multi colors of crocus bloomed randomly in early April. Unfortunately we lost all our hives last winter so the native bees had a great time. Here’s a selection of spring crocus..
I’m missing a couple of colors, either the bulbs rotted or they became our furry friends food. We can hardly wait to see what our lawn will look like next spring. We weren’t able to enjoy our tree peonies in the last two years as it was either too windy or too much rain which brought down the flowers as soon as they opened up. This year, though we had a lot of rain, there was a brief period without and it coincided with the tree peony blooming. Not just us enjoying the flowers, the bees were also busy collecting pollen from them. We have only two tree peonies in our garden as they grow very large and don’t like to be moved once established. The ‘Nishiki’ has been with us for 10 years and is around 3.5 feet tall. It usually produces around 15 to 20 flowers each spring. We look forward to seeing how many flowers it will produce each year since it produces more flowers as it gets older. It’s a flower that’s worth growing. It’s not fussy and doesn’t need much attention, however, it’s a slow grower. The beauty of the flowers make it worth the wait. Snow came down two days ago accumulating just three inches. Today the garden is still covered with snow and the temperature dropped down to just above 10°F. It’s a perfect winter day for bird watching through the patio door. Since the ground is covered with snow and the sources of water around here have turned to ice, they congregate around our feeders and heated birdbaths. It’s also a good day to start planning for the next growing season. The plant catalogs have been piling up. I have picked out a couple of new vegetables I want to try and am now looking for flowers that bees and butterflies will like. A new Cosmos ‘Cupcake’ looks very tempting. I have already put 200 crocus in this autumn. If they haven’t all been dug up by the squirrels and chipmunks they should blossom when spring arrives. Any new plants I choose I make sure will benefit all pollinators, not just honeybees. If I have to pick and choose however, flowers for the bees will come first. Honeybees seem to like this Aster more than the lavender color. 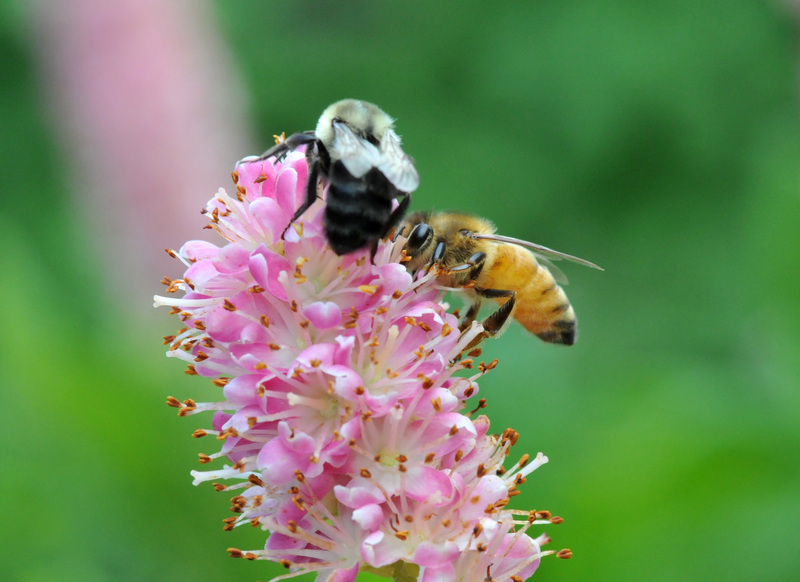 It’s a good late season food source for pollinators. 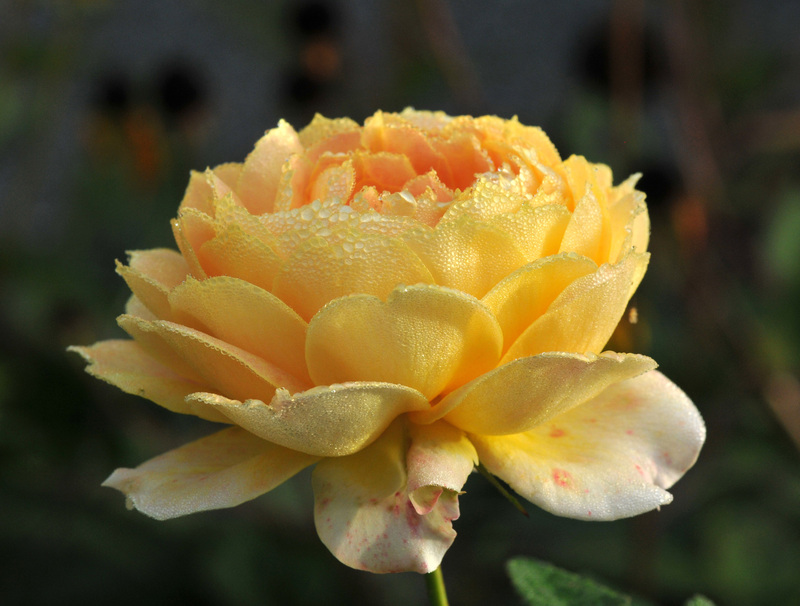 Summersweet has a perfect name; its fragrance is really sweet. I grow both the pink and white varieties. But it can be a problem in the garden as it produces a lot of suckers. Maximillian’s sunflower ‘Santa Fe’ is a perennial that can grow over 6 feet tall and produce plenty of flowers on each stem. 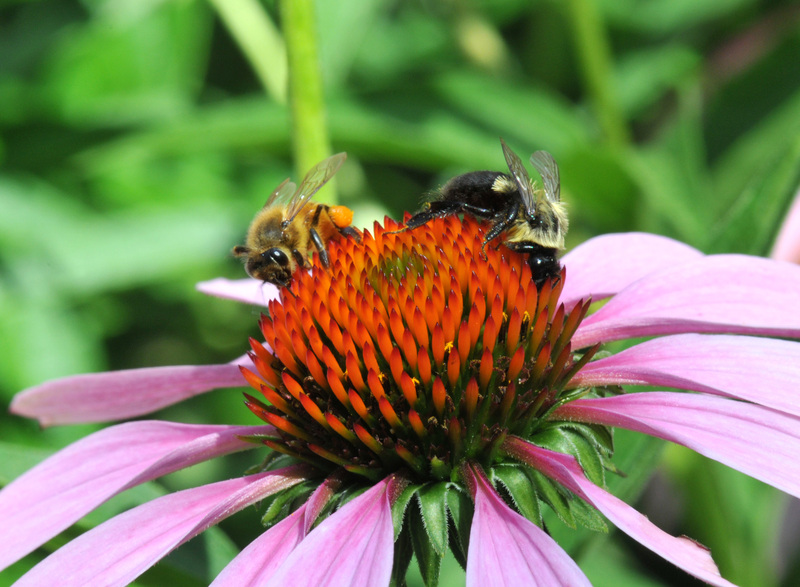 Echinacea is a must for a pollinators garden. There are a variety of colors to choose from: pink, white, yellow, orange. The native purple (dark pink actually) readily self sows. I propagate other colors by digging them up and separating them after a couple of years. 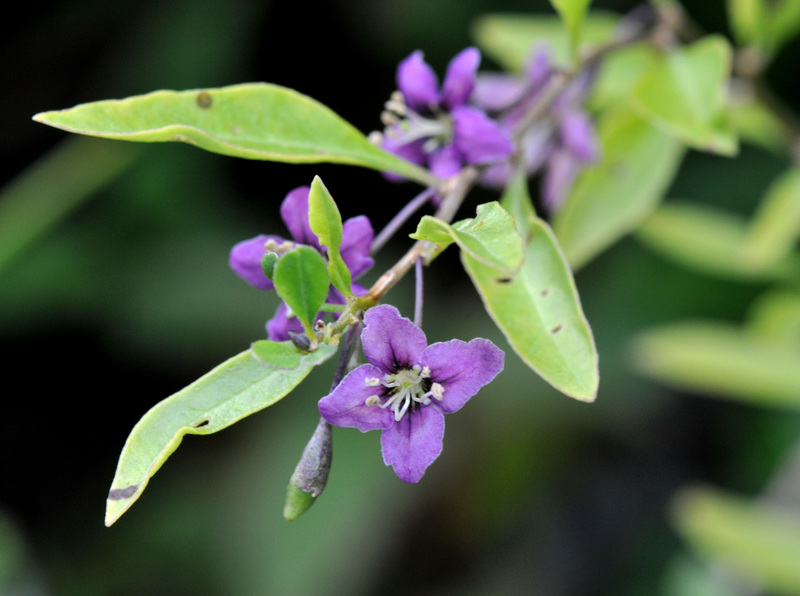 Butterfly Bush (Buddleia davidii)has a strong fragrance and easily self sows. I pick off spent flowers before they set seeds which encourages the plant to produce more flowers and no seedlings that I will have to pull next season. This iris is a re-blooming variety and fragrant. I planted more bearded iris last autumn and look forward to seeing them bloom this spring. 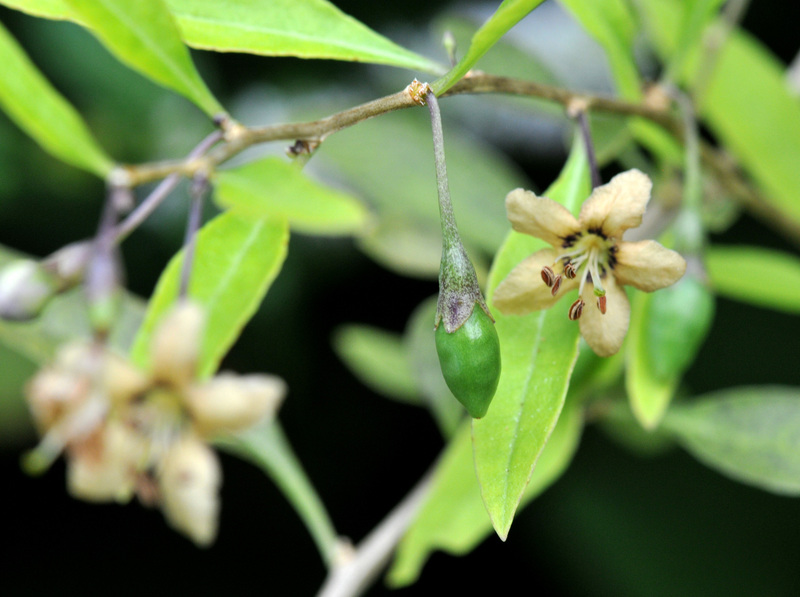 Water Jasmine is a tropical flower with a mild, soothing fragrance. In it’s native tropics, it’ll bloom year round but in a cold climate it blooms heavily in summer. Bees and moths love it. 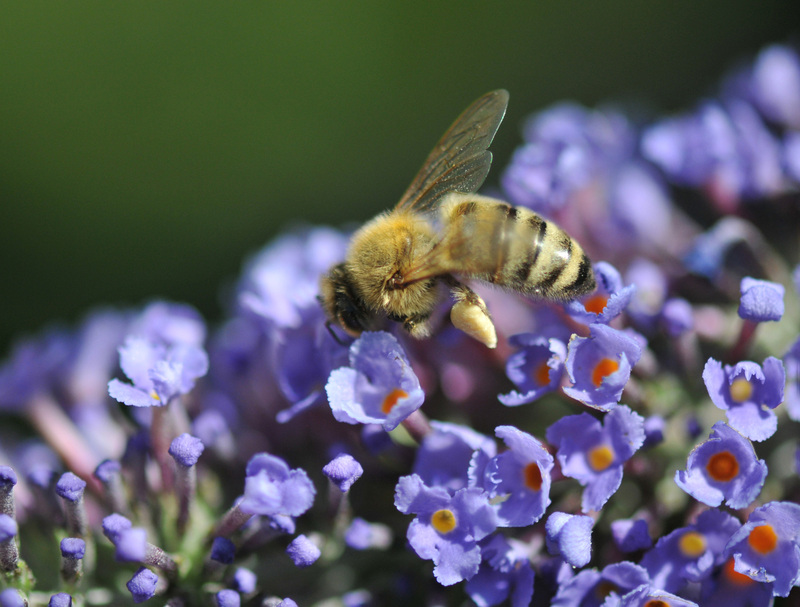 The honeybee in the photo above is covered with hollyhock pollen . 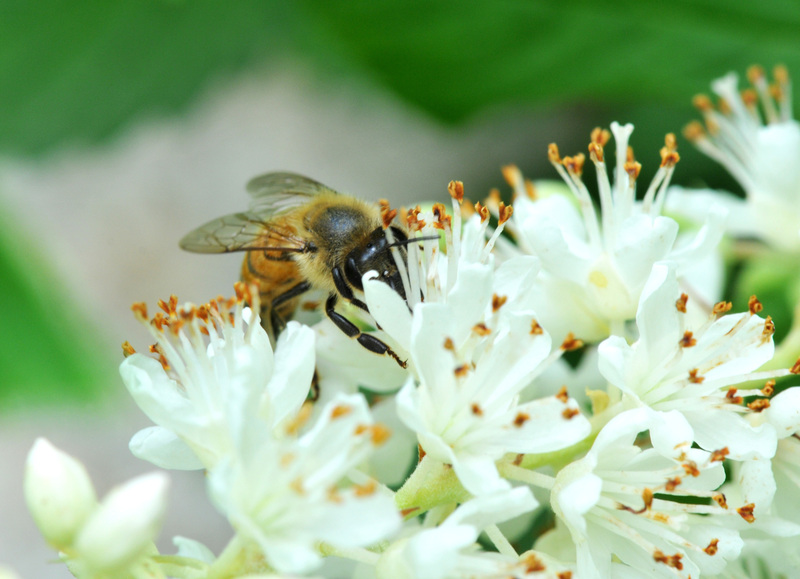 These are just some of the flowers I managed to photograph with honeybees on them. There are many more flowers that they like- crocus, snowdrop, Black-eyed Susan. Next post will be on herbs and vegetables that I allow to flower, both as a pollinators food source and as the next season’s seeds. I’ve been looking for flowers that bloom in autumn when nothing else will bloom. I’m just trying to give our garden some color and the bees a late snack on any day that is warm enough for them to come out of their hives. 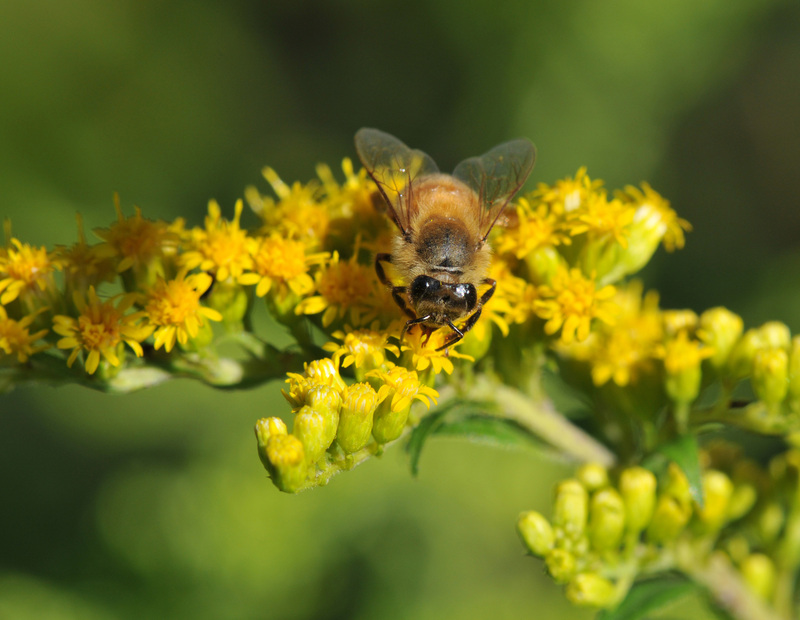 Not that many plants bloom at this time of year even the Goldenrod have already faded. After some searching, I found Waterlily Colchicum and Fall White Crocus and planted them in late September. Saffron also blooms in autumn but somehow they have not produced flowers this year. I harvested some Saffron last year but this year there are plenty of leaves but no flowers. Hopefully some will produce some flowers before it gets too cold. I actually encountered the Waterlily Colchicum for the first time a couple of years ago at the Brooklyn Botanical Garden when I attended the Chili Festival. It was a love at first sight. There was a large patch of them blooming but I didn’t know what they were until I found them in a plant catalog. Here they are, a beautiful pink water lily look alike on dry land. Up close. They really look like waterlily. This Crocus blooms in autumn. Not many of them left from squirrels and chipmunks scavenging. It’s nice to see colors in autumn that are not orange, yellow or red. Hopefully there will be more of them next autumn. After months of bone chilling cold and several feet of snow, Mother nature finally eased her grip. The temperature has been increasing slowly and the spring rain has arrived. It’s been raining on and off since yesterday, with intermittent drizzle. When it was just drizzling, I took the opportunity to walk around looking for both survivors and a new generation in the garden. The deer and rabbits have done a lot of damage this winter. I guess hunger made them try anything they can get their teeth on. Yew hedge, rhododendron, iris, hydrangea, clematis, and tree peony bore the signs of being munched on. 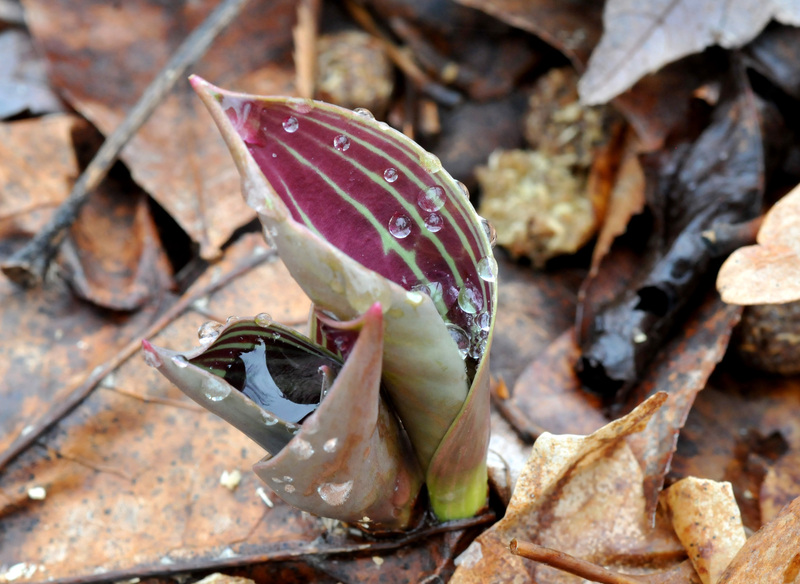 There are also new flowering plants that have pushed themselves above ground. Tulips, hyacinth and daffodils I rescued from the garbage bin have never failed to express their gratitude year after year. Not many tulips left though. The chipmunks managed to dig a lot of them up last year even after they had started to flower. 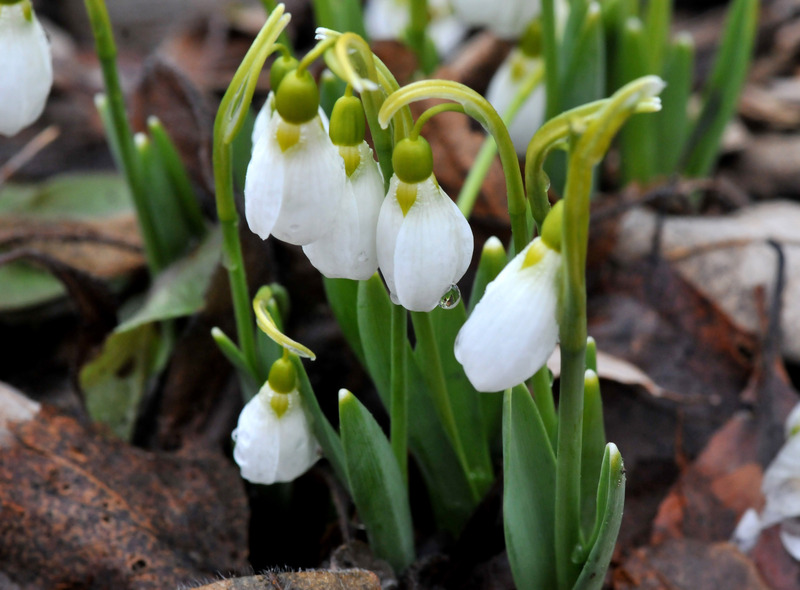 Snowdrops have already bloomed. Grape Hyacinth and Dwarf iris will follow close behind. A new cycle begins again. I can hardly wait for a dry sunny day when I can begin pruning roses, feeding the plants, cleaning up the garden in general, and putting new seeds in the ground. The Alyssum ‘Basket of Gold’ (Aurinia saxatilis) is a perennial that produces bright yellow flowers. Butterflies and bees love them. This particular one was buried under a mound of snow this winter but it’s happy and perky again. I will have to cage these tulips before the chipmunks find them. I have no idea what this one is but the pattern on the leaf is beautiful and the resulting flower will be so vibrant. Fall is officially here, not just the date but temperature and the color of leaves. The ground is practically covered with leaves and the branches are becoming more bare everyday. We start grinding up the leaves for mulching and composting when we have days off. I don’t cut back much of anything except for the Butterfly bushes (Buddleja davidii). This lovely, fragrant and food source for butterflies and bees is very invasive if the flowers are allowed to set seed. I left other plants in the garden stand as they are during winter so birds and insects can have food and some protection from the harsh elements of winter. As bare as the garden looks now, there are some diehard flowers that are still standing up to the cooling temperature. Frost will eventually stop them but it’s still a different beauty. 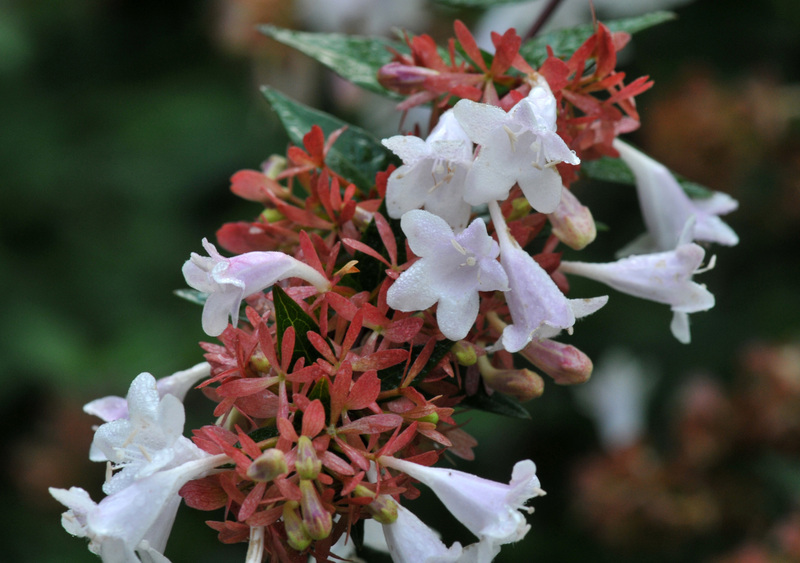 Abelia (Abelia x grandiflora) starts flowering in summer and won’t stop until frost. Its light fragrance draws bumblebees in. This little flower, tiny, low to the ground but tougher than they look. They keep going and are good for bees and other insects as a last resource. 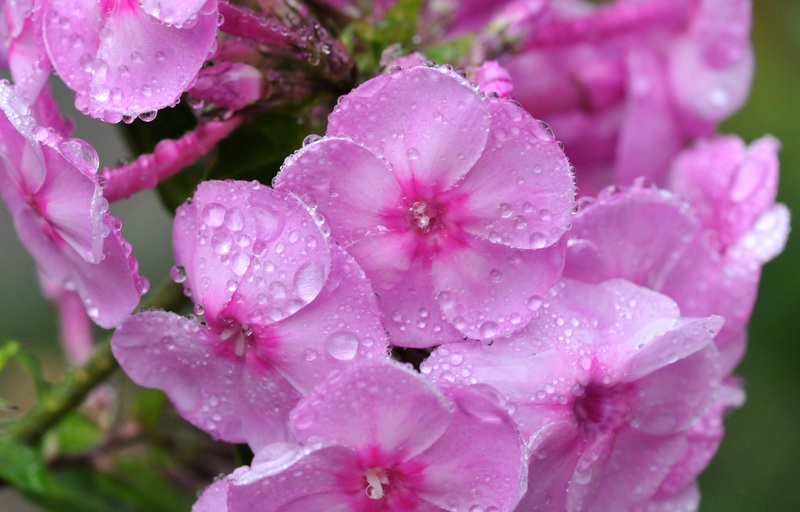 Garden Phlox (Phlox paniculata) is a real diehard. 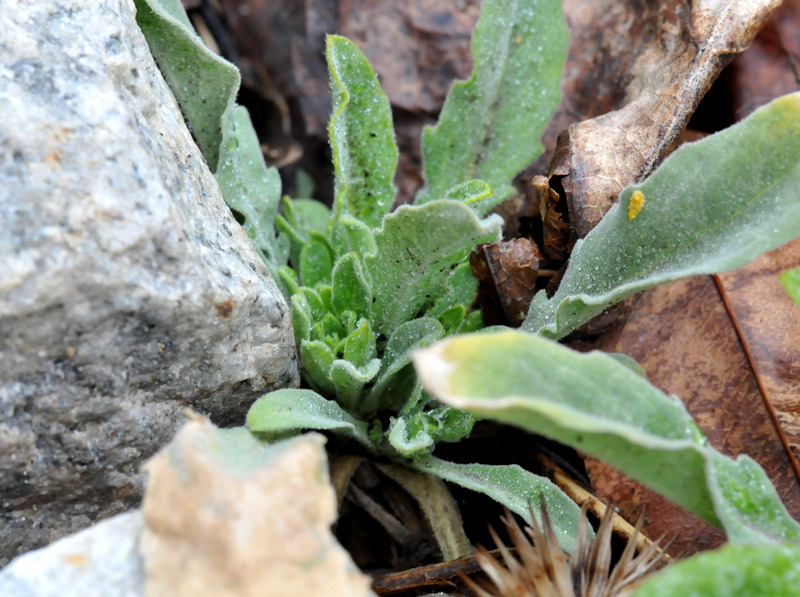 It can tolerate drought, wet and cold to some degree. I have no idea which one this is since I let them grow freely and cross-pollination results in many shades of phlox in the garden. I only know that the phlox ‘David’ is white. Rosa Rugosa ‘Ms Doreen Pike’ is still producing flowers here and there. This one is soaking wet from the rain. Once I pulled some of the Bee balm (Monarda) out to give more space to this rose ‘Antique Caramel’, it seemed to be happier and flowered more than last year. I don’t remember if I ever mentioned I got this rose ‘Knockout’ for free from the nursery, two of them actually. They’ve been doing really well and never let me down from early summer to frost. 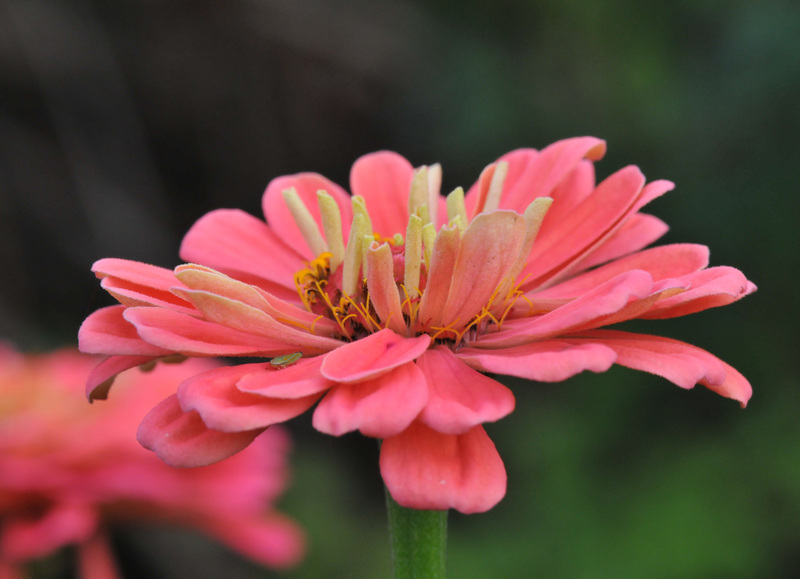 This is one of the Zinnia that is still flowering. Most of them have black spots due to an excess of rain lately. But they are doing well this year. 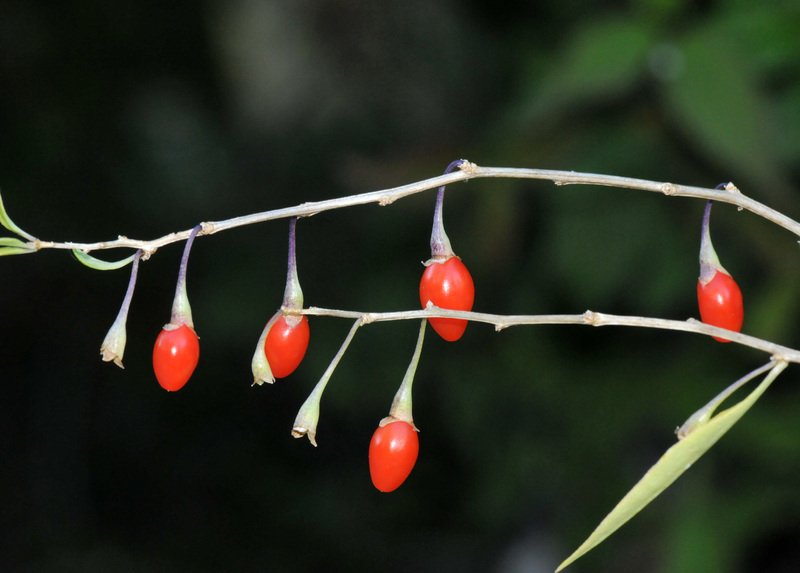 We love to snack on dried Goji berries since we discovered them years ago, way before it became a ‘hip’ dried fruit. As far as I know almost all Goji berries come from China. We didn’t think much about the source until so many news articles appeared concerning how polluted China’s exports have been found to be. Food safety standards are a concern. So we searched for USDA certified organic dried Goji berries, found them but noted how much more expensive they are. Then the light bulb came on…if it grows naturally in the Northern part of China and Inner Mongolia, I should be able to grow it here in the Northern US within zone 5/6. The search for Goji berry plants started. I bought three of them from a catalog in early spring and put them in larger pots until I could find a permanent spot for them. 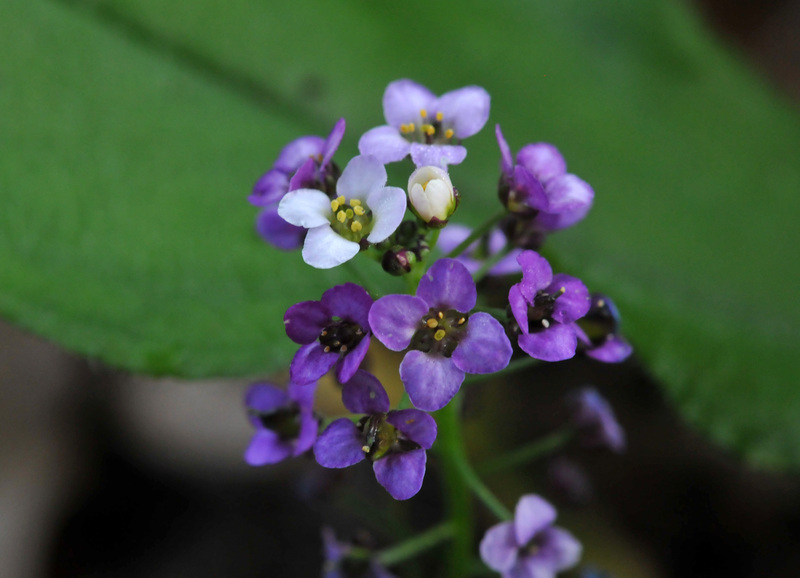 I set them aside and didn’t think much about them until I saw small purple flowers on their stems. Yes, to my surprise, the three little plants are blooming. I didn’t expect that at all since they haven’t even settled into the ground yet. I have a habit of replanting a newly purchased plant in pure compost whether it goes into a new pot or right into the ground. I want to give it a boost after being confined in a small pot or bare-rooted in transit. I think in this case it helped to push the berries to bloom. 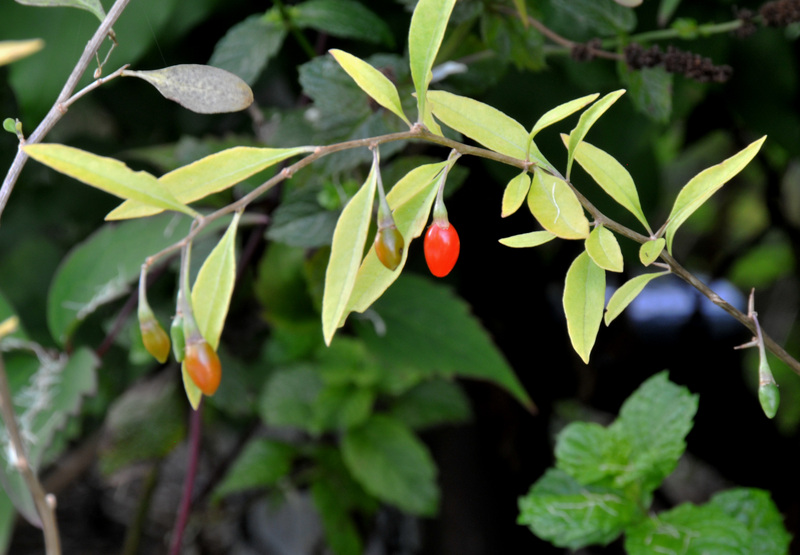 Goji berry (Lycium barbarum) or Wolfberry is a deciduous shrub with an arching thorny branch. 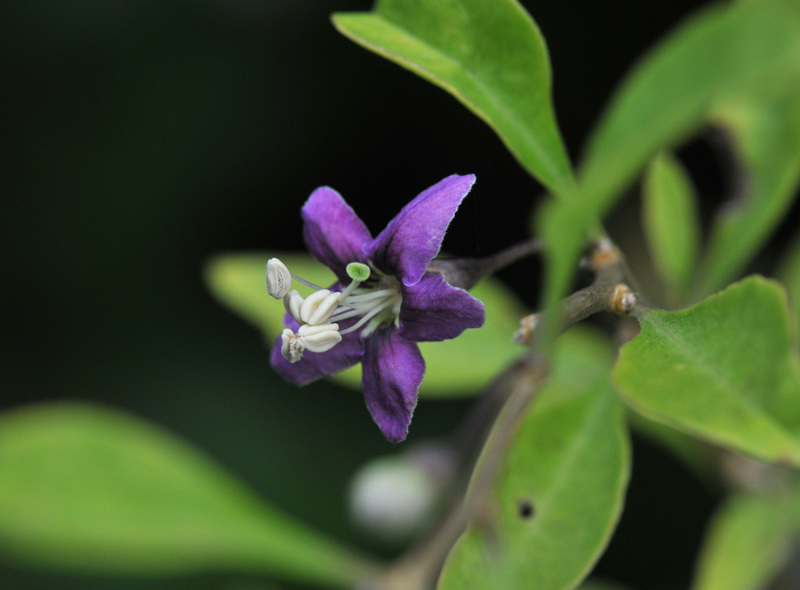 It has little purple flowers that turn beige before the petals drop. The berries turn from green to orange then bright red when they’re fully ripe. Fresh, ripe Goji berry has a very interesting taste, not sweet, not sour but meaty (for lack of a better word) for such a small berry. I think the sweetness of the dried berries come from the dehydration process perhaps. Hopefully I’ll get more berries next year but between the Gray Catbirds and Cedar Waxwings I may not have any berries left. I’m not sure I can beat the winged competition. Summer flowers in our garden are easy to grow and most of them are drought tolerant. Having a full time job I have to be practical about what I plant in the garden. I water the vegetable garden regularly since most of the vegetables don’t do well without constant care. The opposite goes for the rest of the garden. Most of them are doing fine being left alone. I weed, prune and feed them when I have time. 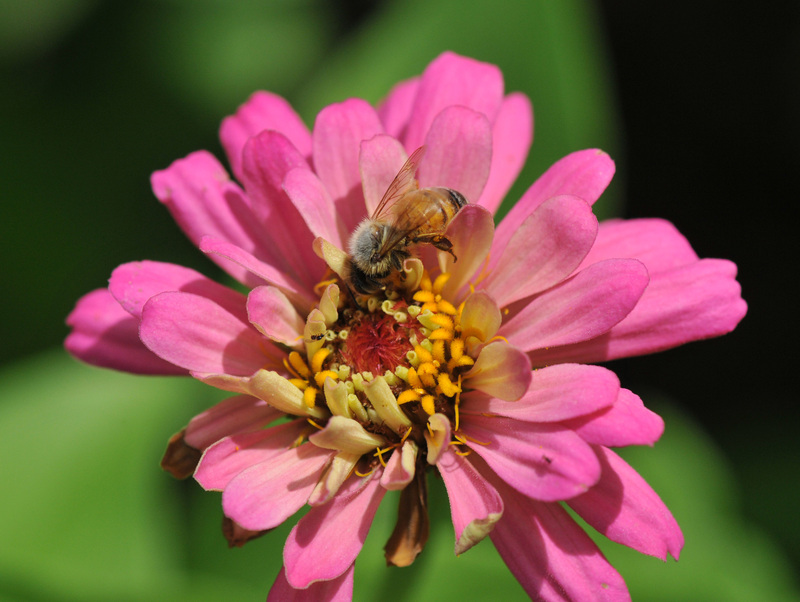 So, summer flowers for bees are the ones that will bloom even when neglected. Here’s some of what I grow..
Black-eyed susan ‘Gold Sturm’ (Rudbeckia fulgida var sullivantii ‘Gold sturm’) helps brighten up the garden even when everything else wilts. Bees and butterflies love them. The seed buds become finch food. It is also much more compact and mildew resistant than other varieties. Butterfly bush (Buddleja davidii) lives up to its name; it draws butterflies in like moths to a light. It has a lovely sweet fragrance. The down side is that it’s very invasive if you let the flowers set seeds. I should have classified Echinacea under herbs since it has herbal properties. This one is a native that will grow wherever the seeds drop. The birds also like the seeds. Well, a lot of people see this Goldenrod (Solidago) as a weed but I found the bright yellow flowers really beautiful. It can take care of itself even along side the road where nothing else would grow. Summersweet (Clethra alnifolia) is another flower that lives up to its name. The fragrance is sweet to the point of intoxication when enough of them bloom at the same time. The white one above is called ‘Vanilla spice’ the pink one below is ‘ Ruby spice’. I grouped a variety of zinnia together this year and they came out really nice. I also planted them where they can get full sun all day long. 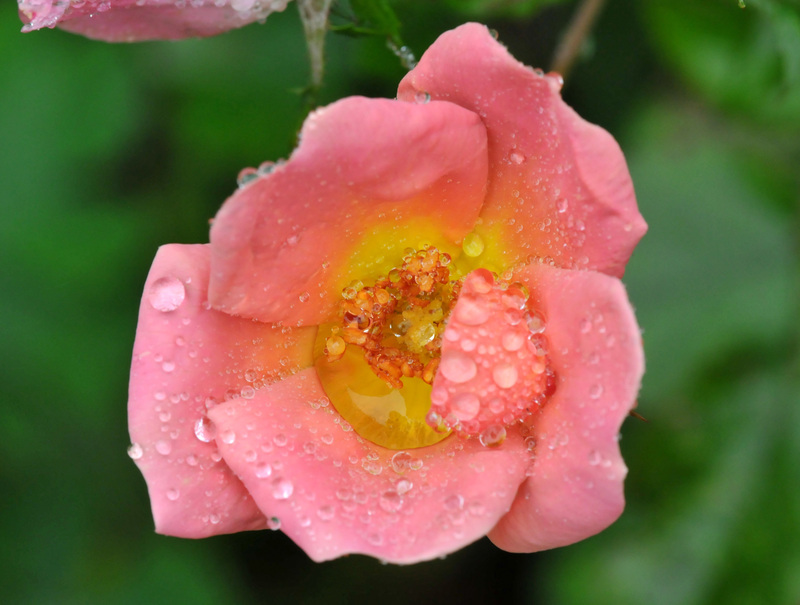 That helps the flowers to stay longer and suffer far less mildew on the leaves.